Loud City Song begins quietly, above the city. “Heaven, all the heavens of the world.” An urban stargazer distracted by the quiet sky, soon brought back to earth: “Are you looking for anything?” The album is often like this: Julia Holter sings a line or two from one perspective and then shifts without notice, capturing at once the anonymity and singularity of urban life. Any city is like every city if you look at it from above. To focus on what is in front of us, we have to shelter ourselves from that openness: “I don’t know how I wear a hat so much…The city can’t see my eyes.” But it’s harder to shut out the sounds; easier to let them flow through you, the rhythms of the streets becoming the gateway to the subconscious. “All singers with eyes closed.” Searching for the right note, maybe, or the right voice—or finding the song in a stranger’s interjections: “How could you sing / That every day I talk to you.” Holter has often included found sounds in her music, covertly recording her grocers and neighbors, and those reappear here. But these are pure supplements, like illustrations in fantasy novels. 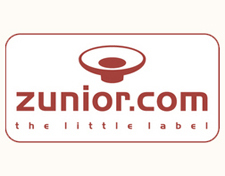 The real story is told in the music. Through her, here, the city sings. 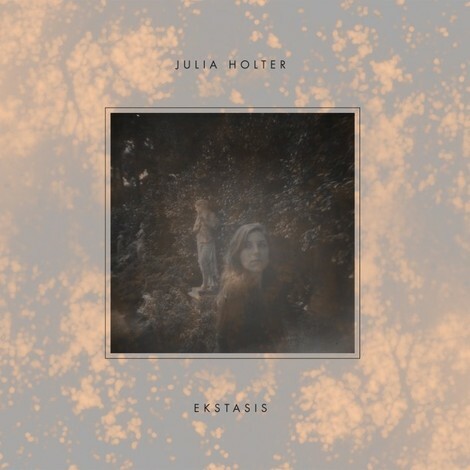 On her previous full-lengths, Tragedy (2011) and last year’s phenomenal Ekstasis, Holter used the inspiration of the ancients to give her oft-wispy tunes a semblance of form. Ekstasis hewed closer to traditional song craft, only to explode it from within (“Marienbad”) or paint it in baroque new colors (“Fur Felix”). Loud City Song brings us back to the present. Or, sort of: the album was apparently inspired by Gigi, a French novella made into a Best Picture-winning musical in 1958, so “the present” here really means the last century or so of culture and music. 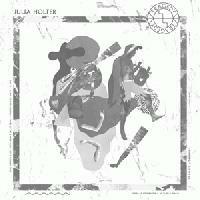 Which is appropriate: Holter is fundamentally a 20th-century musician, more indebted to John Cage and Messiaen than anyone in her age bracket. In last year’s end-of-year recap on the greatness of Ekstasis, Brent tried to argue that the accomplishment of the album was to recast Cage’s aleatory indeterminacy in terms both human and intimate. Cage, for all his dazzling brilliance, never cared much for emotion; taking up his banner, Holter managed to sneak some of the most radical conceits of 20th century avant-gardism into something almost like pop music. These songs dip into a different vein of 20th century music: the populist homages of Aaron Copland, the over-the-top-musicals of Broadway and Hollywood’s golden age, and the noir-tinged jazz ensembles of post-war urban America. Holter’s experimental ethos is still in full effect, particularly on “Maxim’s II,” which makes the horns of Radiohead’s “The National Anthem” sound calm by comparison. But these flourishes are realized in songs that are almost quaint in their earthen good cheer. “Into the Green Wild” bounces along to a stand-up bass earworm, Holter’s abstract narration all da-da-da’s and wowww-wowww’s, before segueing into a startlingly powerful bridge that counters the good humor of the track’s first half to tremendous effect. “This Is a True Heart” is even more buoyant, almost certainly Holter’s most accessible track to date. She could have understandably utilized the resources provided by her new Domino contract to streamline and finesse her sound into something more retail-friendly, but instead she makes everything bigger—emotions, codas, choruses—without sacrificing a bit of discretion. There’s an orchestra’s worth of instruments on this record, but they’re used with such a light touch that you’d hardly ever know it. This kind of control is, to say the least, rare. Loud City Song descends softly, landing on solid ground. Over the course of forty-five minutes, a view from the heavens evolves into a panoramic perspective of populated pastures (epitomized by “Into the Green Wild”) and anonymous passersby (a staggering mid-album cover of Barbara Lewis’ “Hello Stranger,” which turns the reconciliatory optimism of the original into a droning elegy for our dependence on imperfect bonds). Tangible yet fundamentally unknowable, these souls are glimpsed but briefly, leaving a lifetime of impact in their wake. At just over two minutes, “He’s Running Through My Eyes” conflates form and function in a wounded, fleeting display of unencumbered emotion as the world, moving too fast to heed such intimate testimony, proceeds at its same indifferent pace. In the rush of untethered sensation, Holter retreats inward. And from this perspective, “This Is a True Heart” is both personal proclamation and universal lament, its melancholy chorus (“See the young so old, so fast”) buoyed by a trotting rhythmic tow and tasteful sax scales, an outwardly inviting, internally conflicted dance of divulgence. In a cold, uncaring, contradictory world, all we can trust, Holter seems to imply, is one’s own heart. Now armed, if not prepared, we arrive. 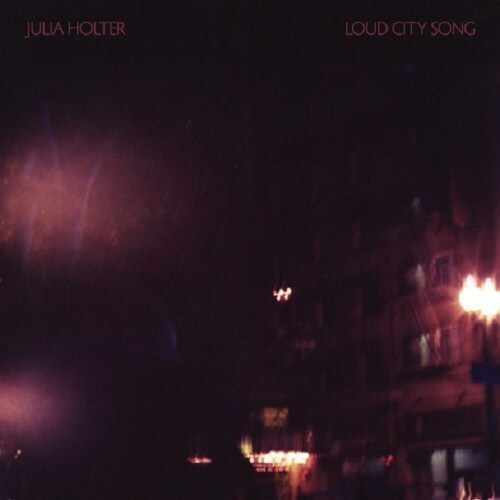 “So in this late hour / May be trouble, may be fantasy,” Holter whispers as “City Appearing” emerges mirage-like in the distance, chords and words and images accumulating languidly, as if skeptical of their own veracity. But in pointed contrast to the mad commotion of the streets she’s soon to encounter, Holter closes her most emotionally acute record to date with little fanfare. Instead of a destination, this arrival begins to feel more like part of a greater journey for Holter. Her progression in two short years, from the sonic scarcity of Tragedy to the evocative symphonic grandeur of Loud City Song, hints at a vision we are only beginning to see the full range of.